Dustin Griffin is an entrepreneur, real estate investor, website developer, internet marketing enthusiast, husband to Christine Griffin and proud father of Savannah and Hudson Griffin. Dustin has been “Self-Unemployed” and proud of it since 1996 when he first began building dynamic, database driven websites and virtual back office systems for Realtors and real estate investors. In 1999, several of Dustin’s successful real estate investor customers talked him into buying his first investment property and he has been doing it ever since. Today, Dustin’s website business, Super Smart Web Profits, has thousands of customers who use his virtual investing systems in all 50 states. His home buying company, One Hour Homebuyers buys houses in Atlanta in an hour or less using creative purchase strategies such as subject-to and short sales. Dustin is also a coach and mentor and teaches classes and webinars on traditional marketing, Internet marketing, search engine optimization, blogging, social networking, subject-to, short sales and more. Dustin is the founding Executive Director of the new Atlanta Real Estate Investors Alliance (Atlanta REIA) in Atlanta whose purpose is to provide affordable, local real estate education as well as providing ongoing motivation, networking and community outreach programs for its members. 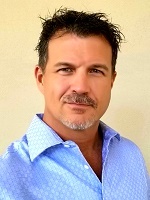 Dustin is also the Executive Director of the Tampa Real Estate Investors Alliance (Tampa REIA) and the Charlotte Real Estate Investors Alliance (Charlotte REIA) and enjoys helping others achieve their personal and financial goals through real estate investing. Dustin is also an active member of the Fuller Center of Greater Atlanta, a non-profit charity that builds, renovates and repairs homes for poor Atlanta area families.